Housing Options considers your pet part of the family. Our apartment communities welcome pets. Many sites offer an extensive network of paths paralleling rivers or ponds, and off-leash dog parks are often close by. 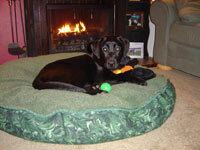 Many areas have pet walking or daycare services available.